Today we salute teams who have no sense of modesty or humility… even though they really should. … the fact remains none of them have anything to do with soccer or sports in general. 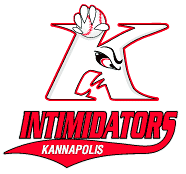 Man this is a messed up logo. You’ve got a letter K that seems to have developed a case of rabies as well of some sort of mutation that resulted in a hand on its head. Perhaps if the team had lived up to their overly exuberant name they might not have ended up folding. Holy rusted nails Batman, what a hilarious team name! Perhaps it’s their love of spandex. Perhaps it’s their affinity for ambiguous relationships with older men also dressed in spandex. I don’t know, I don’t judge… well that’s a lie… but more to the point of the matter, this team name does make it seem as though Arkansas Tech is tooting their own horn a bit too much. 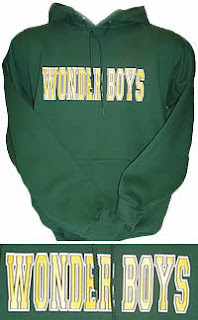 Which is actually odd because you’d think a team named the Wonder Boys would be more likely to be tooting each others… well you get where I’m going with this. This is funny. But you should know that the Lexington Legends, in their very first year (2001) not only won their South Atlantic League championship, but won more games than any team in all of Minor League Baseball (96). Legendary, indeed! 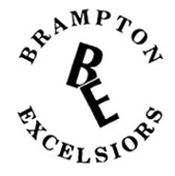 So I stand corrected, apparently the Lexington team very quickly became legendary, and their on-field performance indicated that their team name wasn't just a bunch of baseless bravado. But my question is, when the team was formed prior to the 2001 season and hadn't accomplished a single legendary feat, were they still known as the Legends? Or was that name adopted after the 2001 campaign when they discarded the name Lexington Ordinaries in favour of a more suitable title?